A lasting commitment to growth will shape Wisconsin Badger Camp. The Building Fund offers anyone an opportunity to become part of this vision and to grow in their commitment to Badger Camp. 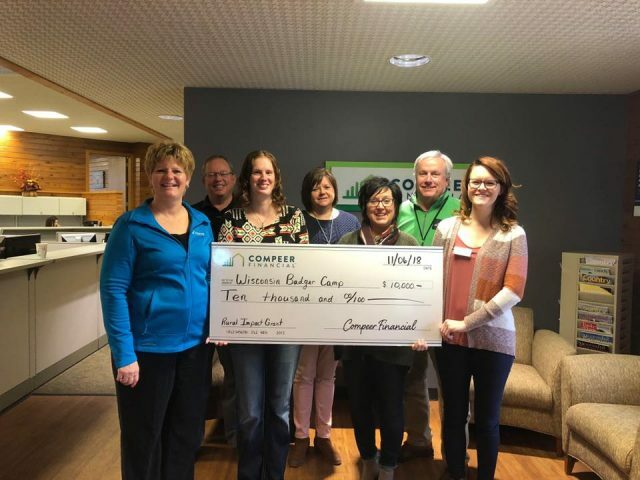 Your tax-deductible contribution designated to the Building Fund will warmly invite campers to return and enjoy a quality camp experience in the heart of scenic Southwest Wisconsin. A gift to the Building Fund may come in a variety of forms: CGA, Memorial/Bequest, property donation, or one-time cash gift. You may also wish to list Badger Camp as a beneficiary in your insurance policy or part of your investment portfolio. *Wisconsin Badger Camp is currently in the process of securing funds to construct a new camper lodge, Badger Lodge, which will address our waiting list and build capacity. In addition, this project also includes a remodel of our Cedar Lodge, which will enlarge our infirmary and update our dorms as well as our dining area.